BEIJING — China's trading partners are bringing the top U.N. food standards official to Beijing in a last-ditch attempt to persuade regulators to scale back plans to require intensive inspections of food imports — including such low-risk items as wine and chocolate — that Washington and Europe say could disrupt billions of dollars in commerce. The rule could inflame tensions with the administration of U.S. President Donald Trump, who has promised to raise tariffs on imports from China, and the European Union. Under the rule, due to take effect as early as October, each consignment of food would require a certificate from a foreign inspector confirming it meets Chinese quality standards. Other countries require such inspections only for meat, dairy and other perishable items. That alarms suppliers that see China as a growing market for American fruit juice and snack foods, French wine, German chocolate, Italian pasta and Australian orange juice. They complain Beijing already uses safety rules in ways that hamper access for beef and other goods in violation of its market-opening commitments. "It could bring down food imports quite dramatically," said the German ambassador to Beijing, Michael Clauss. "It often seems it is more about protecting Chinese producers than about food safety." The requirement would add "unnecessary regulatory complexity" at a time when Beijing has promised to reduce regulation, Jake Parker, vice president of China operations for the U.S.-China Business Council, said in an email. 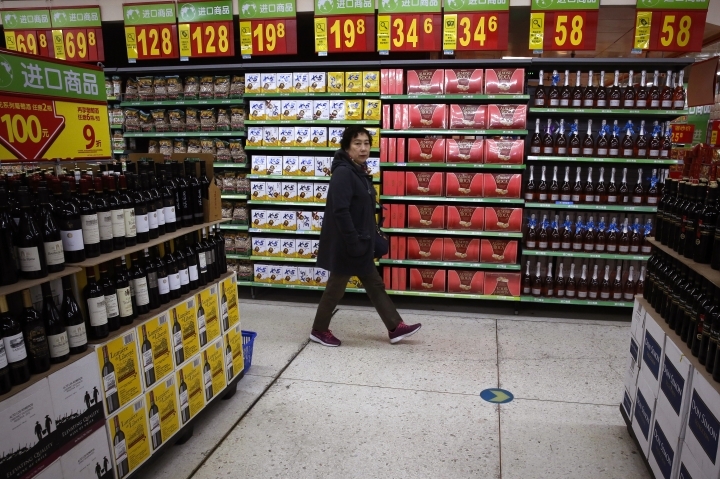 Chinese regulators say closer scrutiny is needed as food imports increase. They say they are willing to consider suggestions about alternatives, but foreign officials say they have yet to make any changes. China contends the inspections requirement is supported by the Codex Alimentarius, the "Food Code" of the U.N. Food and Agriculture Organization and World Health Organization, according to a person familiar with the discussions. The Codex sets quality standards but other nations say it recommends certificates only for risky products. The president of the Codex council, Awilo Ochieng Pernet, a Swiss lawyer, will attend an April 6 seminar with Chinese officials in Beijing to explain its standards, according to that person, who asked not to be identified further. Participants plan to propose alternatives such as giving Beijing access to electronic records to track sources of shipments. Ambassadors from the United States and another government expressed concern in a letter in January to Wang Yang, a deputy premier who oversees farming and commerce. Officials of the United States, the EU, Canada, New Zealand, Australia, Argentina, Chile and other governments sent a similar letter to the Chinese product quality agency, the General Administration for Quality Inspection, Supervision and Quarantine, known as AQSIQ. EU officials believe requiring health certificates for all products "is not scientifically justified," the EU mission in Beijing said in a statement. The rules would be a burden on foreign suppliers and "a waste of the precious control resources" that should focus on risky products, it said. The rules follow an avalanche of scandals over Chinese suppliers caught selling tainted milk and other shoddy or counterfeit food products. 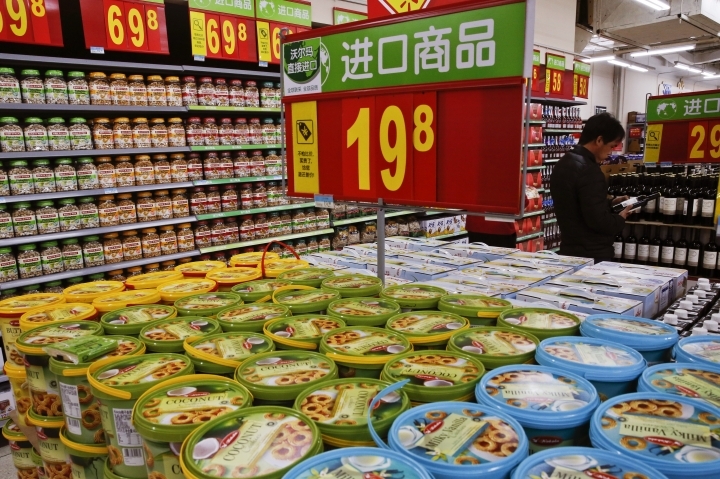 Western officials say the proposed food rules appear meant to shift responsibility away from AQSIQ, which Chinese consumers often blame for safety failures . In a written statement, AQSIQ told The Associated Press it is talking with more than 30 exporting countries and regions including the European Union, the United States, Canada, Australia, New Zealand and Japan. The agency said it welcomes suggestions of "alternative solutions." The measures are aimed at "promoting the international co-governance of food safety," the agency said. It said that would improve regulators' ability to trace imported food and block counterfeits. "We have to assess the food management of areas abroad that export food to China to ensure the food safety of our country," the minister in charge of AQSIQ, Zhi Shuping, said at a March 14 news conference. Zhi did not refer directly to the inspection requirement but said his agency's activities are "in line with international practice." Beijing already is at odds with the U.S. and Europe over low-priced exports of steel and aluminum they say are hurting foreign competitors. In the Trump administration's first trade complaint, a group for American aluminum producers asked March 9 for higher import duties on Chinese-made aluminum foil to counter what it said were improper subsidies. Clauss, the German ambassador, said the rules should be submitted for WTO review — a step that AQSIQ said in its written statement it will take. "We don't see that they really are trying to compromise on this so far," said Clauss. "To our knowledge, this doesn't exist anywhere else in the world."